Enter all required MySQL fields including MySQL Server, Login Name and Password. 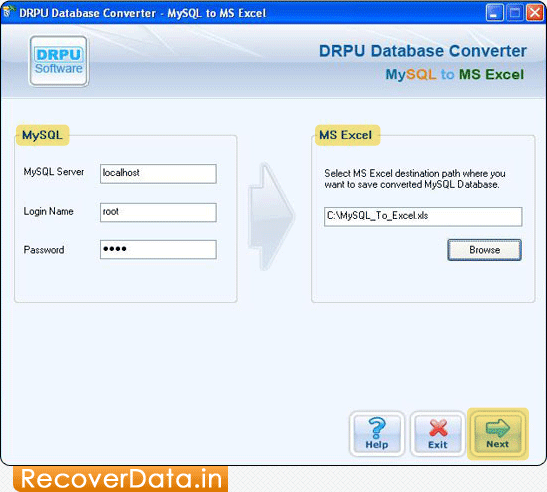 Now browse the path where you want to save converted MySQL database. 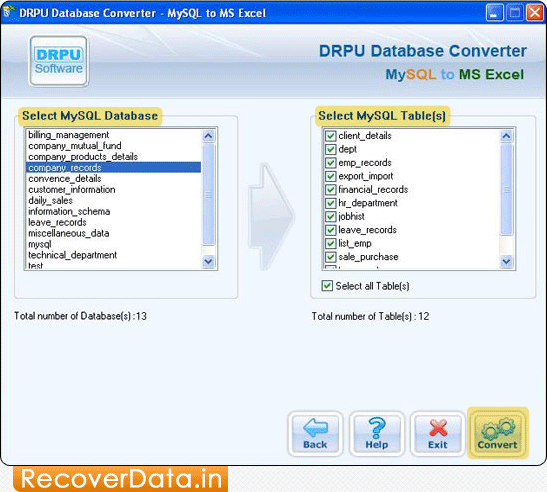 Select MySQL Database, MySQL Table(s) and click on 'Convert' button. MySQL to MS Excel database conversion process is in progress.